Wise Owl’s ‘General Wellbeing’ Health Pack has been chosen by Eric Llewellyn to help you on your way to feeling great & boost your well-being. 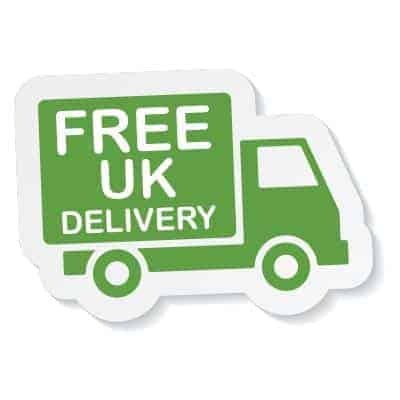 The natural supplements included are whole food supplements, working in harmony with your body. What Are The Health Pack Benefits? Even slight vitamin & mineral deficiencies can cause a wealth of health issues. In a world where our soil is between 55 & 85% less nutrient dense than it was 60 years ago, natural supplements can have a hugely positive effect on your day to day health. Wise Owl's Multivitamins & Minerals have been specifically formulated to help your body obtain its optimum level of nutrients, with excellent absorption & utilisation. Wise Owl's Multivitamins & Minerals are truly natural 'food state' supplements - made using whole foods, the way nature intended. Magnesium 40mg Elemental - Our 'Food State' Magnesium tablets are made using whole food. Natural food sources of Magnesium are far better absorbed that inorganic sources. It has been estimated that up to 75% of people in the western world (& parts of Asia) can be considered as magnesium deficient. Product Ingredients: Lactobacillus bulgaricus providing magnesium; capsule shell: vegetable cellulose. 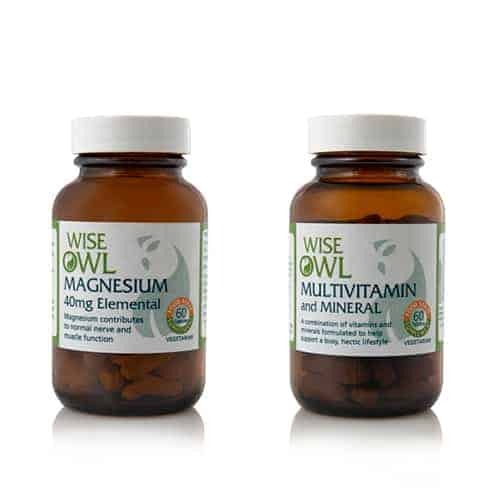 Wise Owl Multivitamins + Minerals provide important antioxidant nutrients, beta carotene, vitamin C and vitamin E; also the minerals zinc, selenium, molybdenum and a broad spectrum of vitamins, minerals and trace minerals all helping to protect our bodies from the effect of harmful free radicals. Magnesium 40mg may be considered as a master nutrient and helps with rebuilding cells, cleansing and detoxification. Magnesium could be considered as the essential ‘spark plug’ for our 100 trillion cells and is essential for efficient functioning of the metabolism.